With the rising popularity of subletting apartments and renting out rooms on apps like Airbnb, New York City is more accessible to visitors than ever. Now, tourists can get a real taste of living in the city; however, many of these short-term tenants forget to ask about when to take out the trash. 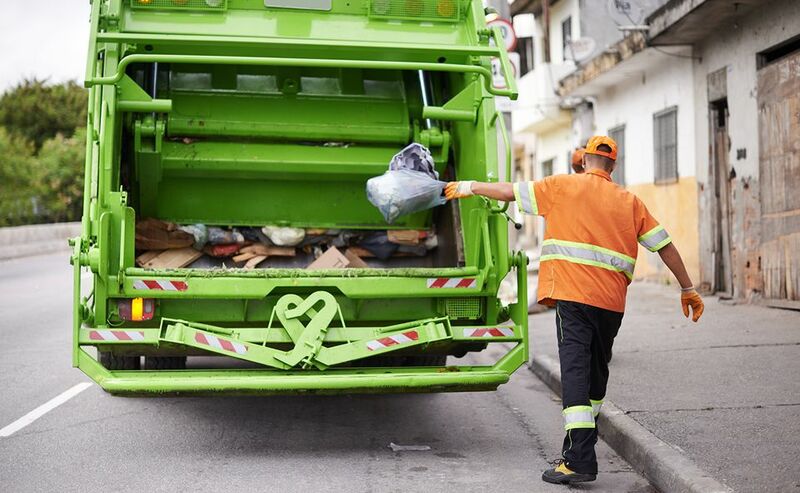 Whether you're visiting the city for a long vacation, renting out a room for a summer internship, or you've just moved to a neighborhood in Queens, you'll need to know when the New York City Department of Sanitation picks up trash and recycling each week. Although you can typically put your apartment's trash and recycling n a common receptacle for the building any time, you don't want to miss the pick-up date and risk having a smelly trash room. To find out when your trash will be picked up, check the website of the NYC Department of Sanitation. You can enter the address for where you'll be staying, and you'll find out the days for regular garbage collection and for recycling pick-up in the neighborhood. When it comes to the schedule for the NYC Department of Sanitation, collection times vary by neighborhood. Since Queens is the largest borough in the city, there is quite a large span of pickup times. For most residential areas in Queens, though, trash pickup usually happens twice a week while recycling collection takes place once weekly. Be sure to check your exact address as garbage and recycling collection times and dates can vary even within neighborhoods. You can check the collection schedule on the NYC Department of Sanitation website. It's very rare that the sanitation crew accidentally misses a garbage or recycling pickup, but there are several sanitation holidays throughout the year that cause delays or slight shifts in the collection schedule for different neighborhoods. If your trash is not collected on its normal day, chances are there's a holiday happening; you'll just need to wait a day or two for the collection crew to catch up with their duties after the holiday. Additionally, you can request a pickup through the Sanitation website or by calling the NYC Citizen Service Center at 311. For removal of large items like dishwashers or furniture, check the Sanitation Department's website for bulk pickup in NYC. You'll need to contact your local collection agency and schedule a time for them to pick up the oversized item. Buildings can be fined for trash left on the curb without prior approval from the Department of Sanitation. NYC currently recycles mixed paper, cardboard, metal, glass, and plastic jugs and bottles. However, there are certain restrictions on what can and cannot be recycled. For instance, cardboard pizza boxes that have grease or other food residues on them cannot be recycled. Additionally, not all forms of plastic can be recycled by the Department of Sanitation, including Styrofoam and hard plastic yogurt containers. Check out the official New York City website for a detailed list of what can be recycled.